December: a great month for bands, a poor month for music blogging, overwhelmed as the internet is with tedious End Of Year lists. So this round-up of the best bands from last month only features three bands instead of the usual five – but Hey! – they’re a cluster of sweet, heartfelt and frankly mental bands. 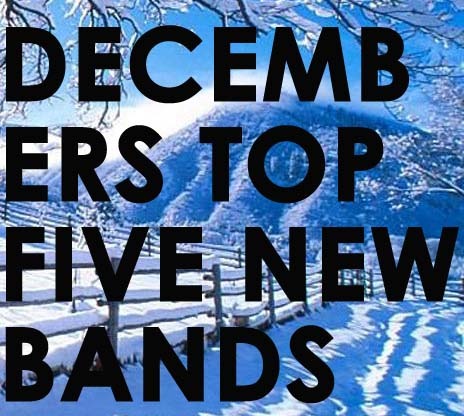 December’s Top New Bands From ANBAD! Posted on January 7, 2010 by Joe Sparrow. This entry was posted in ANBAD Radio, Featured. Bookmark the permalink. ← Welcome To The All-New* ANBAD! mmm… for me the best bands from december were King Kayak, everytime that I was online I couldnt stop playing “john”… Turncoat their 2 songs on their Myspace are really good and finally the canadian Duzheknew wow… if “John” is a godd song for me Duzheknew made with “It Came Out The Other Side, OK” a fantastic song Its so eclectic, and as you said “something interesting will happen”… and Airship with honorable mention. I like the new design. Hi FerCH – in retrospect, I think that in the rush of uploading and launching the new ANBAD, I forgot all about Duzheknew, who was, indeed, eclectic and excellent. Thanks for reminding me!